Grab your easel and brushes, it’s time to get colorful! This week Joe & Kendall “paint a picture” of the infamous Crazy Quilt. Did you know he was created by Jack Kirby? Neither did we! Following Crazy Quilt throughout Batman history turned into a very enjoyable romp through comics. 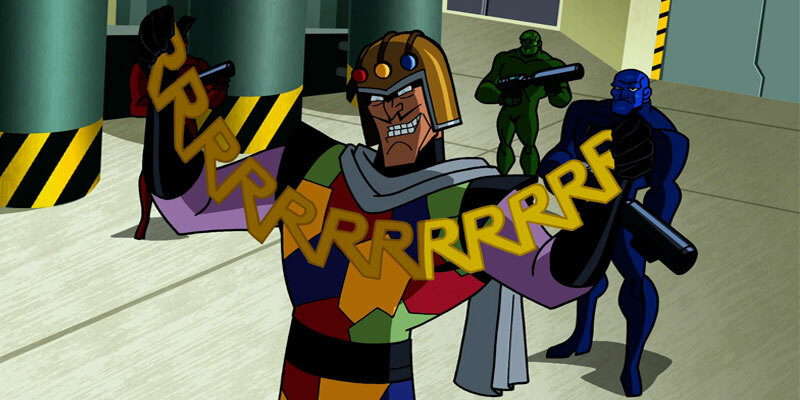 Crazy Quilt really likes to menace kids though, whether it be Robin or the Boy Commandos. So prepare to be blinded, doused in luminescent paint, blinded again, bleached, blinded a 3rd time, and finally retrofitted with electronic helmet eyes as we colorfully hypnotize you with everything you could ever want to know about the Crazy Quilt! White Knight is Good, and Joe & Kendall Agree!